I thought for sure that my recent post about the Olympic torch protests would be the most controversial, most discussed of the year. But noooooooooo. 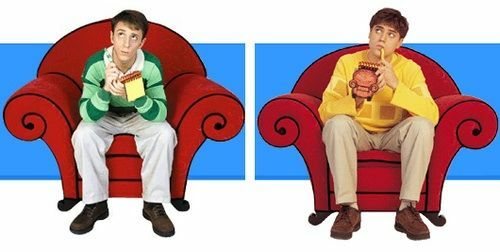 You, my dear readers, have decided that yesterday's post about Steve and Joe and Blue's Clues would be this year's most hotly debated, most commented topic. What must I do to convince you to help my cause? Is this shocking photo of a bald Steve enough? !